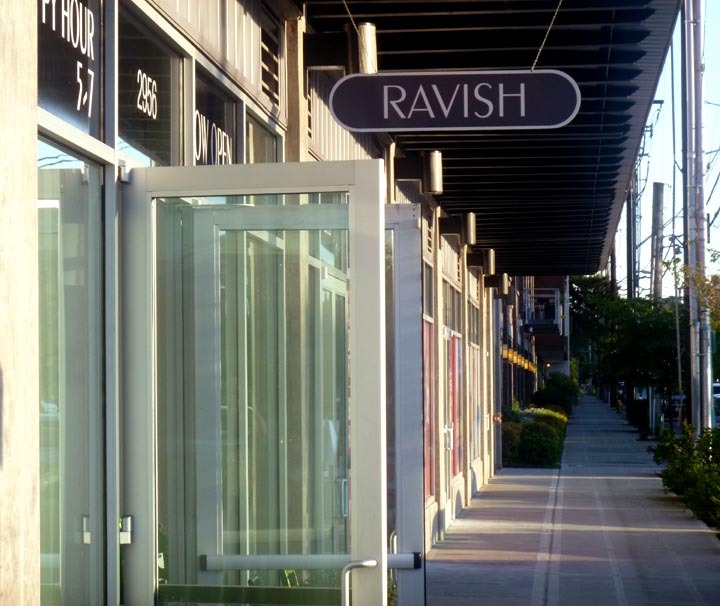 Update: Ravish closed in March 2015. I'm not too fond of the setting for this place -- it's one of those retail spaces on the ground floor of new condo buildings -- but everything else is pretty super. Their Prickly Pear (Pear Absolut, Hot Monkey jalapeno vodka, Saint Germain, lime, cucumber, sweet & sour, and a dash of tabasco) is particularly delicious. The food was very good as well. (I had a Grapple salad, curry flank steak satay, and flatbread with goat cheese, grapes, and carmelized onion.) This place is less than a year old and doesn't seem to have been much discovered yet, but I'll definitely be coming back.